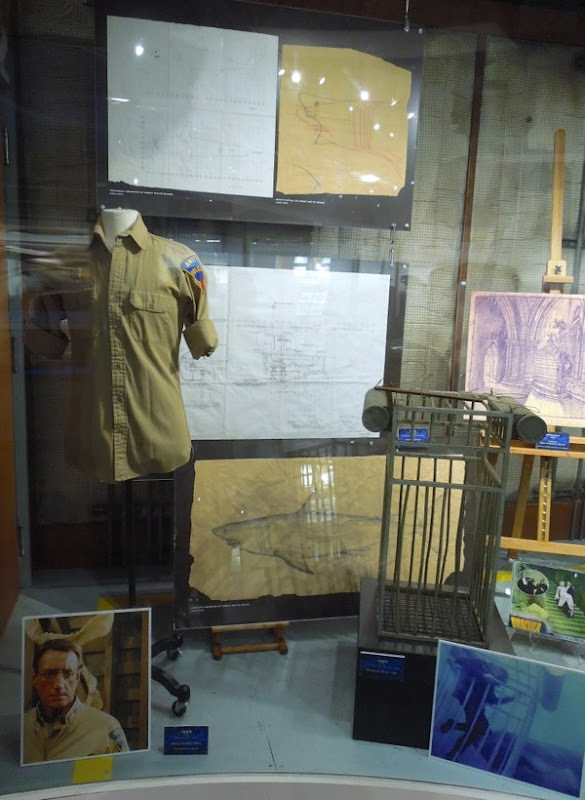 This week I ventured to Universal Studios Hollywood once more to see what new screen-used delights they had on display from their extensive TV and movie archives. 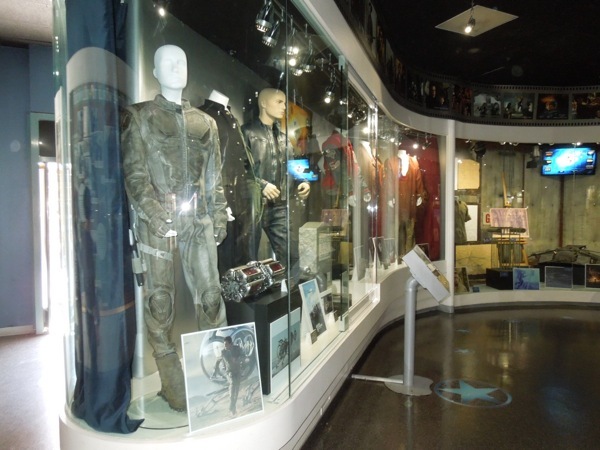 Once again I wasn't disappointed as there were costumes, props and models from the worlds of sci-fi, fantasy, sports, period drama, comedy, crime, horror, musicals and more besides. 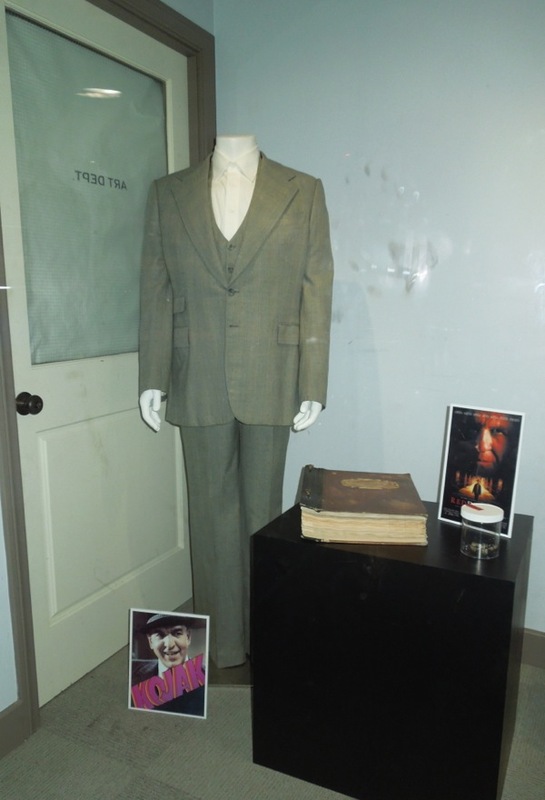 Included in the NBC Universal Exhibit in the amusement park's Lower Lot (next to the new Transformers 3D ride in case you want to visit) on July 30, 2013, was one of the signature suits worn by Telly Savalas as the New York City Police Department 'Detective Lieutenant Theo Kojak' in the 1970's television crime series, Kojak. The dapper detective was famous for his bald head and love of lollipops. 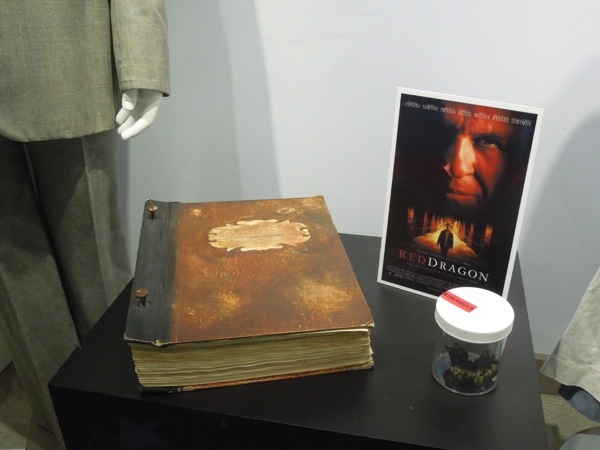 On display beside his outfit were some film props (including some grisly teeth forensic evidence) from the 2002 crime thriller, Red Dragon. 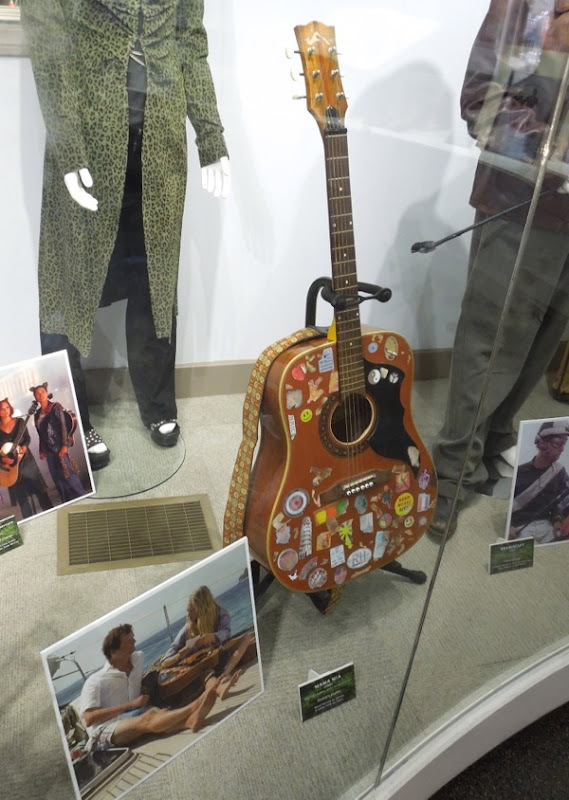 It's no surprise that NBC Universal would want to remind their visitors about 'Dr. 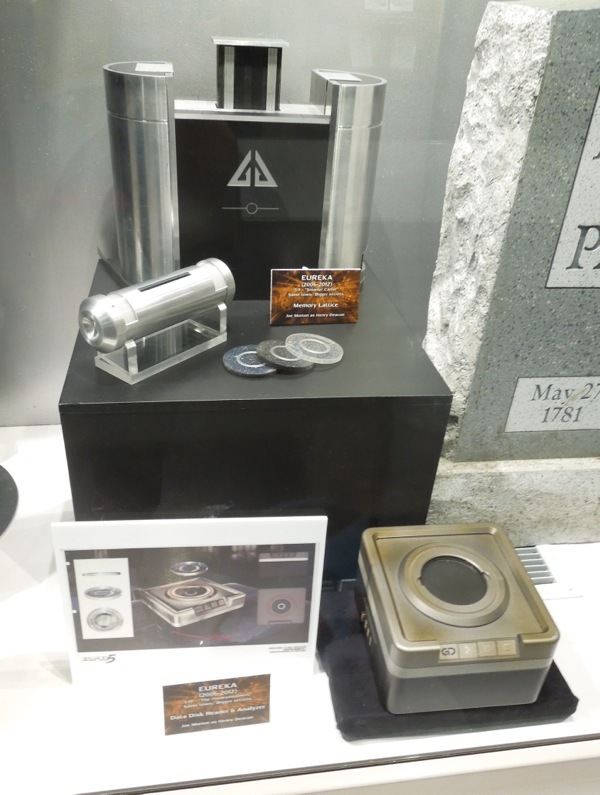 Hannibal "The Cannibal" Lecter' as they currently have a TV spin-off based on the characters in Thomas Harris' Red Dragon novel, simply called Hannibal, which has been renewed for a second season. 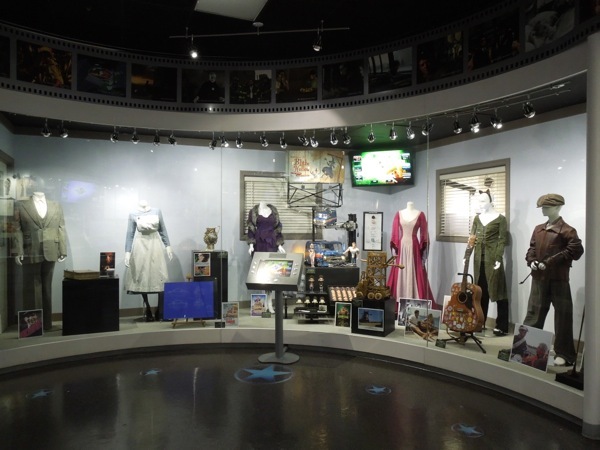 I'm very fortunate to live in West Hollywood and have an annual pass to the theme park, so I stop by on a regular basis to check out the ever-changing exhibits. 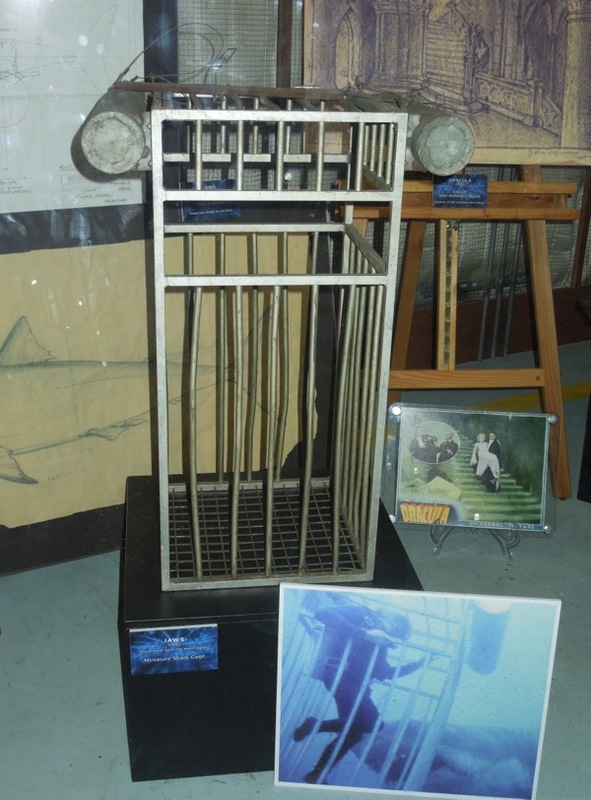 On my most recent visit in May 2013 they had Roy Scheider's Amity Police Chief uniform from Jaws on display, plus a variety of concept sketches and schematics, but this time they also had this fantastic miniature shark cage used in the production of the underwater scenes of the 1975 horror movie. 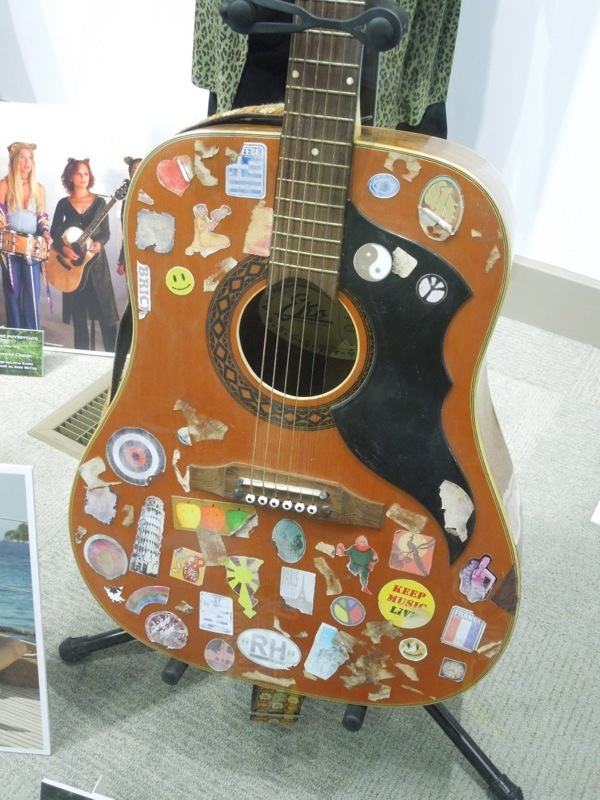 On a lighter note, this time they also had this cool sticker-laden guitar prop from Mamma Mia: The Movie, which belonged to Meryl Streep's 'Donna' and was bought for her by Colin Firth's 'Harry' (which cost him £10 and his Johnny Rotten T-shirt). 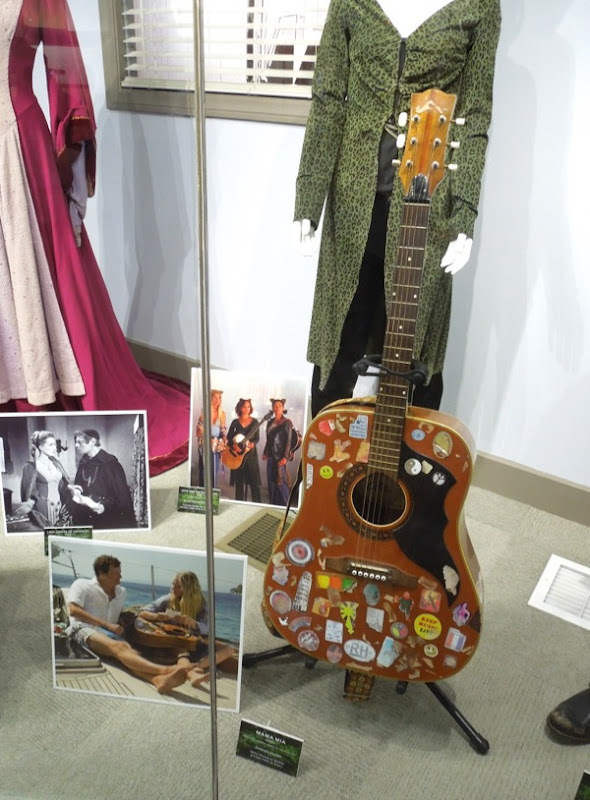 If you're a fan of the big-screen 2008 musical, be sure to also check out these original costumes and props from Mamma Mia: The Movie on display. 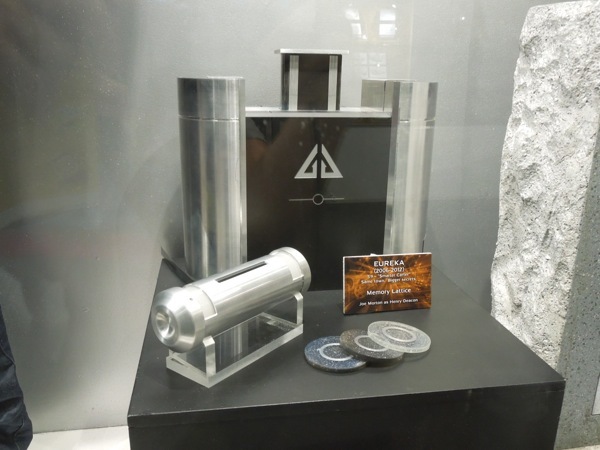 In amongst this eclectic mix of TV and movie memorabilia, they also had these scientific looking props (a memory lattice, plus data disc reader and analyzer) from SyFy's Eureka television series, which was a show about a small town with a big secret, and ran for five seasons from 2006 to 2012. If you're a fan of the sci-fi series, be sure to check out these other costumes and props from Eureka on display from my previous visits. 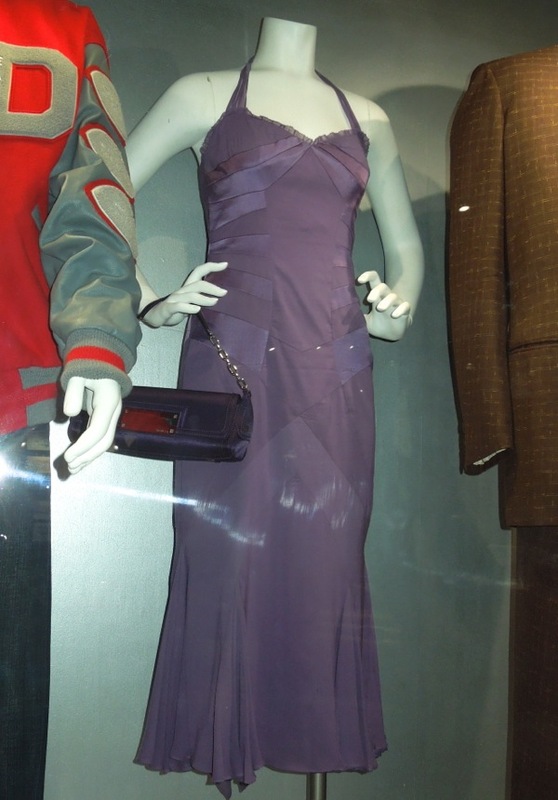 Also on display were the signature outfit worn by Michael B. Jordan as 'Vince Howard' in American Football TV drama Friday Night Lights (more on that at a later date), plus this purple dress worn by Jill Hennessey as crime-solving forensic pathologist 'Dr. Jordan Cavanaugh' in Crossing Jordan. 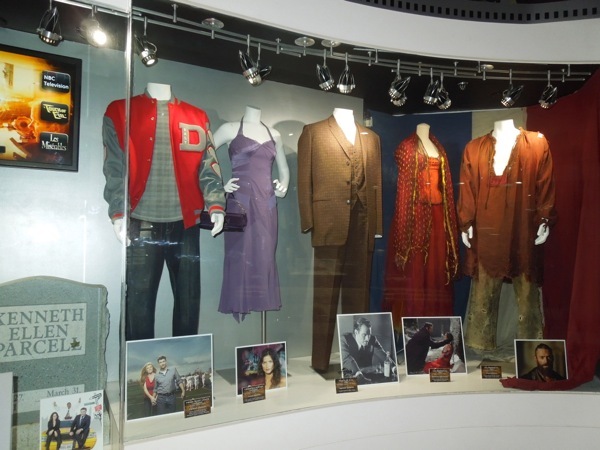 Debra McGuire was series costume designer on the crime drama that aired from 2001 to 2007, and if you're a fan of the show, you can also check out more props from Crossing Jordan here at Hollywood Movie Costumes and Props. 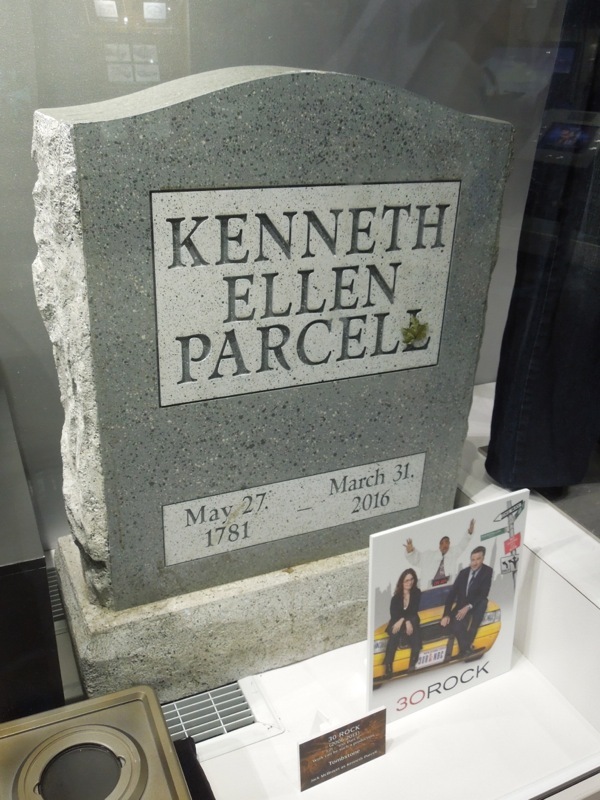 Finally, there was this slightly macabre grave headstone from the 100th episode of sitcom, 30 Rock, for character 'Kenneth Parcel', played by Jack McBrayer. 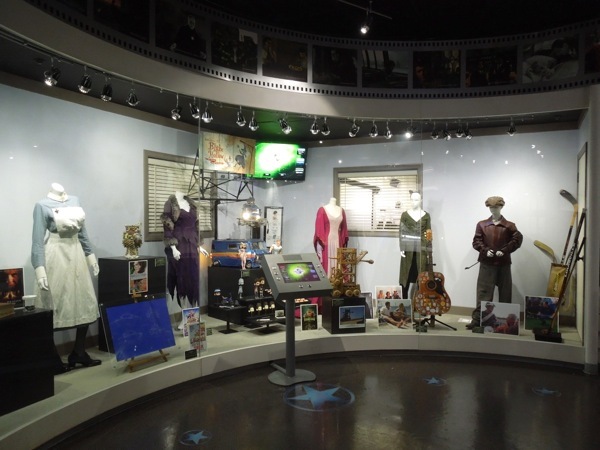 I hope you'll enjoy this new assortment of goodies from Universal Studios Hollywood, and Whovians don't despair, I've also still got loads of Doctor Who costumes and props to share with you all in the future too.